The Highlanders are renowned for their hospitality and you can experiencee this for yourself when you stay at Tigh na Cloinne. 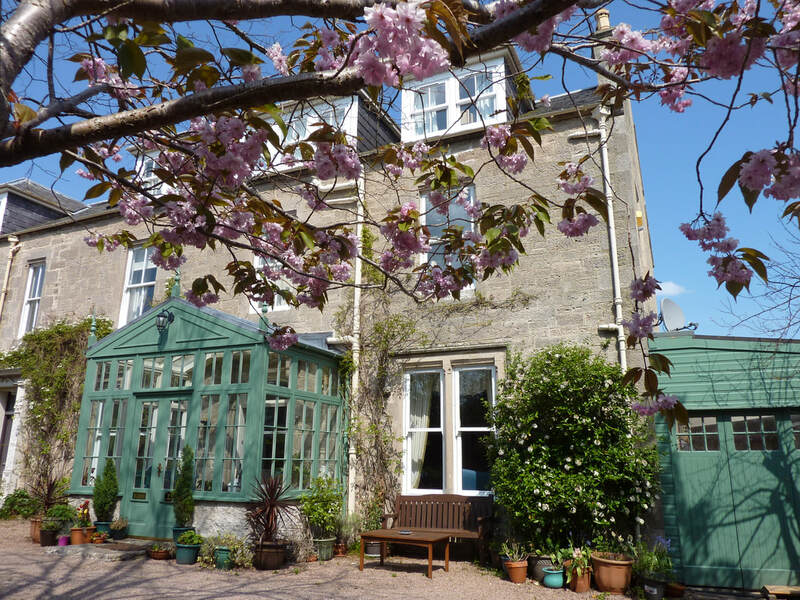 This coastal Highland haven is located in the West End of the beautiful town of Nairn, known in Victorian times as 'The Brighton of the North', due to its unique micro-climate, which ensures less rainfall and more hours of sunshine than many of the surrounding towns. We are mere steps away from the town's stunning beaches and promenades, and being situated on the edge of the Highlands we are perfectly placed for day trips to the north, south, east and west. Whether you like to walk, drive or cycle, make us your hub for your visit to the beautiful Scottish Highlands and the Moray Coast. Culloden Battle Field is only minutes away by car, as is Fort George, Cawdor Castle, Brodie Castle, Loch Ness, the Cairngorms National Park, the Whisky Trail in Speyside and a little further afield more Munros* than you can shake a stick at. * A Munro is a mountain in Scotland with a height over 3,000 feet (914 m). The best known Munro is Ben Nevis, the highest mountain in the British Isles. Munros are named after Sir Hugh Munro, 4th Baronet (1856–1919), who produced the first list of such hills, known as Munro's Tables, in 1891.